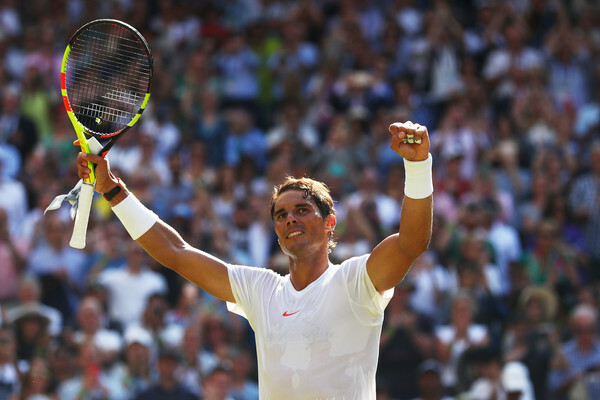 Roger Federer, Rafael Nadal, and Novak Djokovic, who have combined to win 15 of the last 17 Wimbledon titles, all cruised through to the second week at the All-England Club while many of the other favourites faltered. The season’s third major kicked off with a wild opening week on the hallowed lawns of the All-England Club. While the biggest names in the draw made things look easy, many of the tour’s best saw their Wimbledon dreams come crashing down in the early rounds of tennis’ biggest tournament. We may only be halfway through, but there has been plenty to talk about already at SW19. Here’s your ATP Weekly Update for week 27 of the 2018 season. 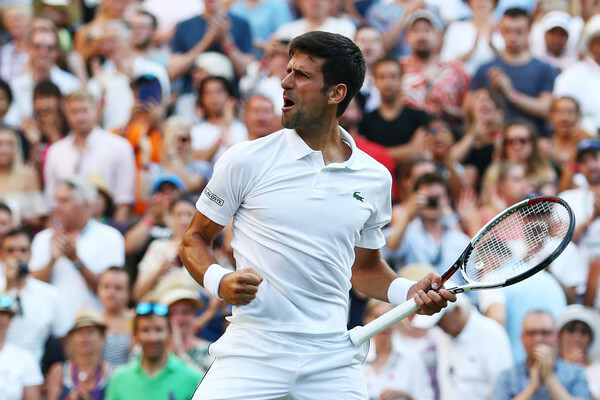 The title may not have been on the line, but there was plenty of drama in the opening week of the 132nd Wimbledon Championships. One thing that was not particularly surprising was the strong showing by the top two. Defending champion Roger Federer and world number one Rafael Nadal both cruised through their first three matches without dropping sets. Federer seems like the man to beat as he advanced to the round of sixteen without dropping serve. However, Nadal looks like he has finally got over his Wimbledon jinx, advancing to the round of sixteen for the second year in a row. He has cruised through his three matches only losing 26 games, the fewest of any of the sixteen men left in the draw. Three-time champion Novak Djokovic is finally starting to look like his old self again as he returns to the All-England Club a year after he retired from his quarterfinal and called it a season. The Serb lost only six games in his first two matches before winning a four-set battle with British number one Kyle Edmund to reach the last sixteen. 2013 semifinalist Juan Martin del Potro has also looked strong, not dropping a set in his three matches. There were a number of surprises in the first week of Wimbledon. Of the sixteen men left in the draw, three are outside of the top 60, including two outside the top 100. World number 93 Jiri Vesely took out a pair of low seeds to set up a fourth-round clash with Nadal. 103rd ranked American Mackenzie McDonald reached the fourth round of a major for the first time of his career, which included an 11-9 fifth set win over Nicolas Jarry in the second round. He will meet his first seeded opponent, 2016 Wimbledon runner-up Milos Raonic, in the last sixteen. Probably the biggest shock came in the former of former world number ten Ernests Gulbis. Now ranked 138th, the Latvian had to come through qualifying just to get into the main draw. 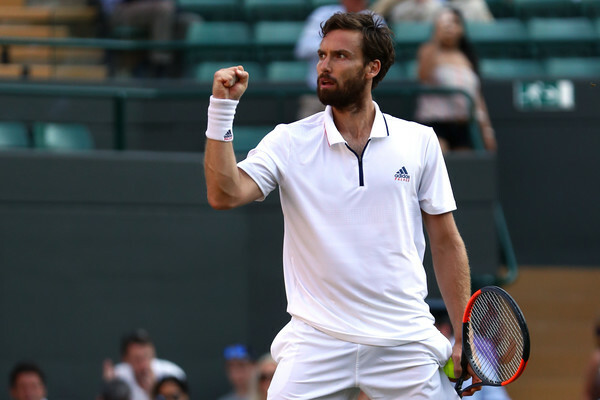 Gulbis has not had a remotely easy run at the All-England Club, needing five sets in all three of his matches. However, he got the job done in the fifth all three times. His run included a second-round win over 27th seed Damir Dzumhur before sending shockwaves through the tournament by stunning fourth seed Alexander Zverev in the third round, knocking the German down 6-0 in the fifth. He will meet a resurgent Kei Nishikori in the round of sixteen. Zverev was one of five top-ten members to lose in the first week of Wimbledon. Dominic Thiem retired in his opening match, while Grigor Dimitrov was sent packing by Stan Wawrinka in a blockbuster opener. The three-time major champion was promptly ousted in the next round by Thomas Fabbiano in straight sets. David Goffin was also eliminated the first round. The biggest shock came in the second round as third seed and 2017 runner-up Marin Cilic was stunned in five sets by Guido Pella. Cilic led two sets to love on Wednesday, but the match was suspended due to rain. When they returned to the court the following day, it was all Pella as the Argentine roared back, winning the last three sets to score the upset of the tournament. The rankings will not change until after the tournament concludes next weekend, but week one’s action will have some important effects. First of all, by reaching the fourth round, Rafael Nadal guaranteed that he will retain the number one ranking regardless of all other results. Juan Martin del Potro is also in position to move up to number four, which would match his career-high ranking. He could move up to number three if he reaches the semifinals. By failing to defend his runner-up points from 2017, Marin Cilic is guaranteed to fall at least to number six in the world. He could go as low as number nine if John Isner, who will match his career-high of number nine just because he reached the round of sixteen, reaches the final and Kevin Anderson reaches the semifinals. Despite losing early, both Alexander Zverev and Grigor Dimitrov will move up in the rankings thanks to Cilic’s fall, with Zverev poised to return to number three if del Potro does not reach the semis. With five of the eight men currently in qualifying spots for the ATP Finals still alive at Wimbledon, there has not been much of a shake-up in the Race to London. However, the chase pack has changed fairly dramatically. Five-time ATP Finals champion Novak Djokovic has jumped into contention, moving up six spots to number nine, 145 points back of John Isner for the final spot. Djokovic could move into a qualifying spot should he outperform the American. Three-time London qualifier Kei Nishikori has also moved up six spots into striking distance at number twelve. The field bidding to claim tennis’ biggest crown will be cut in half on Manic Monday as all eight round of sixteen matches will take place, with the gold cup being handed out on Sunday. Federer remains the heavy favourite with a fairly open draw. The biggest threats to him are likely Kevin Anderson in the quarterfinals and Milos Raonic, the last man to beat or even win a set against Federer at the All-England Club, in the semifinals. Even with all the upsets, the bottom half of the draw remains stacked, with Rafael Nadal and Juan Martin del Potro seemingly destined to clash in the quarterfinals with Novak Djokovic probably looming in the semifinals. 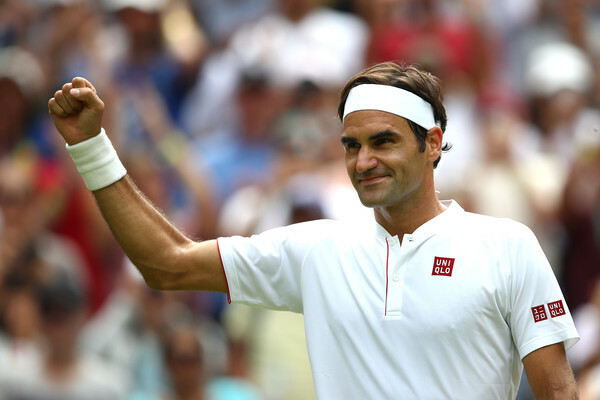 Federer is seeking a ninth Wimbledon crown, Djokovic a fourth and Nadal a third, while del Potro will be hoping to finally add a second major crown. Milos Raonic may also see his best opportunity after having lost in the 2016 final.